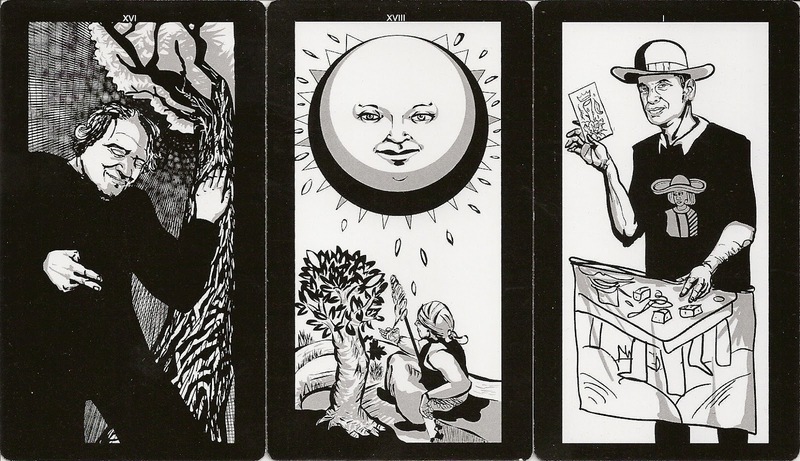 The Triomphes MMXII are a serie of 22 black and white tarot trumps, plus the title card and an extra "neutral" card. The work is an artistic hommage to the ancient master cardmaker Jacques Viéville. 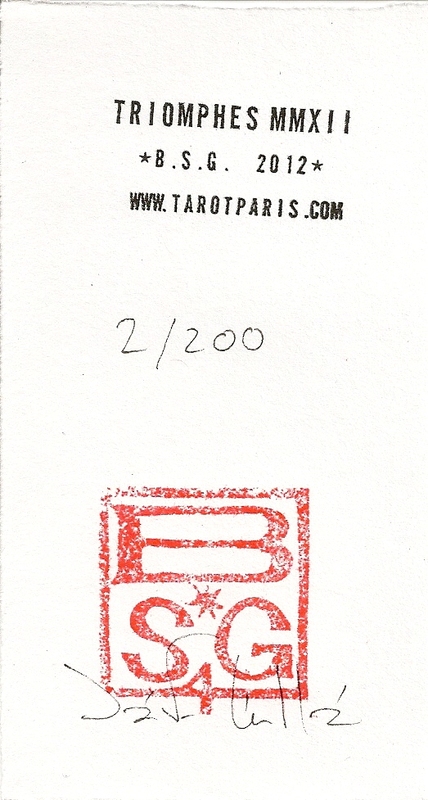 These cards are the counterpart to the traditional engraved work of the Triomphes de Paris . The original drawings are made on a graphics tablet and portray actual people e.g. La Papesse is Mary K.Greer, Le Mat is Betrand Leroy, La Foudre is Bertrand Saint-Guillain himself.The card back shows a crow design, the red boxes are handmade. It is a limited edition of 200, mine is number 2. The decks are numbered and signed.